Fun Speculation - Can Neptune Sized Exomoon Have Moonlets Like Neptune's Triton? Or A Ring? Even Moonlets Of Moonlets? Just before the flyby of Pluto by New Horizons I wrote a speculative fun article about whether it could spot moonlets of Pluto’s moons. Can Moons Have Moons? Or Rings? Theoretically it seems possible that moonlets just possibly might be dynamically stable, there as with many of the moons of our solar system such as the more distant moons in the Saturn system. Two of Pluto's moons, Kerberos and Hydra, were unusual, irregular, almost double lobed in shape, like comet 67p. The frst double lobed moons in our solar system, but no moonlets. In the Saturn system there is one moon that just might have moonlets, up to 100 meters in diameter, and a thin ring, that's Rhea, although sadly a thick ring is ruled out. Though there is evidence suggesting it may have had substantial rings in the past.. It would need closer observations to see if there are any tiny moonlets there. If there are more distant planets to discover, they give more opportunities for finding moonlets, and indeed, perhaps some of the dwarf planet moons could have moonlets. There is plenty of scope to find moonlets in our own solar system, but none found yet. However, now we have a strong candidate for a Neptune sized exomoon. Surely if a moonlet of a moon is possible, a Neptune sized exomoon is nearly as good as it gets? Here is an impression of what Triton would look like orbiting this exomoon. I just took the artist’s impression by Dan Durda and photoshopped in a photo of Triton by Voyager 2. Let's see, is such a moon dynamically stable? Calculation indented to be easy to skip. semimajor axis 40* 11.4*6,371 km, about 2.9 million km. Compare Triton’s orbital distance from Neptune of 384,000 km,and that’s comfortably within the Hill sphere radius of 485,000 km. It is also well away from the Exomoon itself at about 4*6,371 km or about 25,000 km. So, I don’t think we need to worry about the Roche limit, that it would break up tidally. The Roche limit s calculated as 2.44 times the radius when the orbiting body is of similar density to the body it is orbiting. The formula is more complex if they differ in density, you then multiply by the cube root of the ratio of the densities. Since Neptune is low density, only 1.638 g/cm3, less than most moons, then if it's similar in density you are talking about a Hill radius of 61,00 km, or less, if the moonlet is denser than the exomoon. So the Roche limit is likely to be less than 61,00 km, and the Hill radius 485,000 km. giving lots of space for moonlets to orbit the exomoon. What about our own solar system? Well I mentioned Hydra, it looks a bit double lobed, like some of the asteroids. In Can Moons Have Moons? Or Rings?, I worked out that its Hill sphere radius is 1426.6 km. So in principle it could have a moonlet. But no moonlets there (and with that shape even a tiny one is unlikely). Some speculate that because of its complex shape, Hydra might possibly be a double lobe object, like Comet 67p, perhaps formed by a low speed collision of two smaller moons. It's even more double moon-like. It is very like Comet 67p recently visited by the Rosetta mission and the Philae lander. Click here for 3d model of Comet 67p from ESA that you can click to turn around in your browser (takes a while to download). With both Kerberos and Hydra, a more spherical moon that size could have tiny moonlets, in theory at least. Is it possible that they did have moonlets for a short while, before eventually forming these double lobed moons? However there is more to it than that. The Hill sphere calculation only takes account of the situation of two bodies, the moon and Pluto. With the Pluto system we have four small moons (in addition to Pluto and Charon), about as tightly packed together as it is possible to be, so it wouldn't be so easy for moonlets to be stable in a situation like that with the other moons of Pluto tugging at their orbits each time they lap each other. Also another difference from that simple two body system - it's really a "circumbinary" system with the moons orbiting what is almost a "double planet" of Charon and Pluto. Of course there are many possibilities for what we could find out further out in our solar system further out with the trans Neptunian objects, some have moons, maybe some of them have moonlets. And if there are new planets to discover, like 'Planet 9', almost anything could be possible for those. See my Does 'The Goblin' Make Neptune Sized Planet 9 More Likely? ... And Are Mars Or Earth Sized 'Goblin's Possible?. But of those we already know, from my Can Moons Have Moons? Or Rings?, the best candidate so far seems to be Rhea. There are many other moons with a big enough Hill sphere to have moonlets in principle. But this is the only one with evidence that suggested it had rings at least, in the past, and possibly even now, may have some dust in a ring, and it may have some larger objects, their analysis could have missed moonlets of between 8 and 100 meters in diameter. For the details I think I'll just include the relevant section of Can Moons Have Moons? Or Rings? One promising candidate is Saturn's moon Rhea, its second largest moon and a long way from the planet, and at one time it was thought to have a ring system, with most of it within its Hill sphere. If this was true, it would be the only moon known with a ring system, which you could think of as lots of really tiny moonlets. This then would prove that in practice it is possible for moons with moonlets or rings to form. One idea for how they might form was an impact into Rhea which would throw up gas and solid particles, and then once the gas dispersed, the remaining particles would form the rings. The last such impact was around 70 million years ago. Numerical simulations showed that these rings could be relatively long lived, last at least a million years (the duration of their simulation) . Rhea is prolate - elongated towards Saturn. But this seems to be no problem for ring formation in simulations. See also Saturn's moon Rhea may have rings, too. The search also didn't rule out a ring of objects larger than 8 meters in diameter, but a ring like that would normally be accompanied by smaller objects created through collisions. Very small particles could be swept out by electromagnetic forces, but ones of intermediate size, meter and centimeter in scale, would be detected. They concluded that neither a ring of objects larger than the detection limit of their method, or smaller, was likely. Also they didn't rule out any ring system. They just ruled out any ring system dense enough to explain the magnetospheric observations. It could still have a sparse ring system. For instance, they mention that the cosmic dust analyser found dust particles close to Rhea at a density of one particle of at least one micron in diameter every two thousand cubic meters - and this is well below the detection limit of their measurements, so it seems likely that Rhea does have an associated thin dust cloud. Their detection methods could also miss larger particles of all sizes up to at least a hundred meters radius associated with it, if the number density of the rings was low. In this diagram, their methods permitted low densities of particles of all sizes in the green area of this diagram - but showed there weren't enough to account for the electron absorption measurements of Cassini in the red area. So they haven't ruled out all possibilities of rings around Rhea - just showed that if it has rings, they can't be very dense. And indeed Cassini did directly detect an increased number of smaller micron sized dust particles in the vicinity of Rhea. So it probably has an associated dust cloud, at least. For the techy details, see Cassini imaging search rules out rings around Rhea. If Rhea does have a ring system, then just like Saturn it might have a shepherding moonlet outside of it helping to keep the material in place around the moon. Rhea is a particularly good candidate because it is a near spherical moon (so not got the problem of irregular shape) - so if it doesn't have Mascons like the Moon, orbits could be very stable around it. And though tidally locked with Saturn with a period of 4 days, it is not likely to have significant tidal effects on a tiny moonlet unless it has an underground ocean. Rhea's radius is 763.8 km. So anyway - whether Rhea does turn out to have a ring system or not, and whether or not it turns out to have a shepherding moonlet, in the modeling they did for the ring system, they did work out the physics of it all and showed that such a system could be stable over the duration of the solar system. So the answer is a definite YES, in theory, moons can have moonlets, and even rings! None are known for sure yet, but there is a distinct possibility that Rhea at least might still, some day, be proved to have a tiny moonlet or even a sparse ring system. And now also - there is a decided possibility, I think, that this exomoon of Kepler 145b may have an exomoon. It’s likely to be a long time before we can spot objects the size of Triton as far away as that. But - maybe it could have larger exomoons. Nothing to stop it having an exomoon the size of Mars, say. It might also have a ring system perhaps. If Rhea can have one, and given that all the gas giants are now known to have rings, at least thin ones, then perhaps this one can have a ring too. What do you think, could it have an exomoon? WHAT ABOUT MOONLETS OF MOONLETS OF AN EXOMOON? I've never seen the question even asked before. 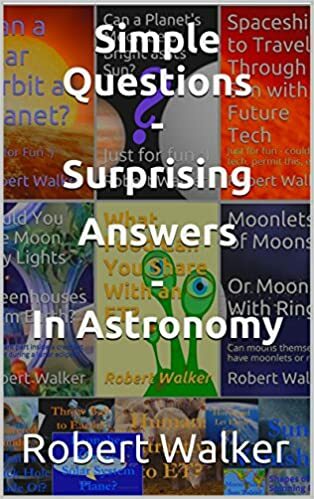 But with a moon as big as Neptune, and a moonlet, suppose it was as large as Mars, then might it have moonlets of the moonlets like Phobos and Deimos? For simplicity, since we don't know the absolute mass of the exomoon, let's suppose the mass ratio is the same as for Neptune and Mars. The Hill sphere calculation only needs the ratio. Let's work out what the Hill sphere would be for a Mars sized moonlet orbiting a Neptune sized exomoon at the distance of Triton. Hill sphere radius 354,800 km* cube root (0.00624/3) = 45,290 km. So the Hill sphere radius is 45,290 km. Phobos orbits Mars at a distance of 9,376 km and even the more distant Deimos at a distance of 23,460 km. Both would be well within the Hill sphere of a Mars sized object orbiting a Neptune sized exomoon. Yes an exomoon could in principle have moonlets of moonlets too! My earlier post: Can Moons Have Moons? Or Rings? You can read it on any device, not just a kindle, and also, read it with the kindle cloud reader in your web browser.